Kristin Bauer-Gross has been working full time as a talent, presenter, model and commercial actor since 2004 and has built a reputation as a quality industry professional over the last 15 years ago. After 10 years of working in Miami and NYC as a model and talent she is now based in beautiful upstate NY but continues traveling the nation on assignments. She’s worked for the biggest names in the automotive industry as a presenter, narrator, team lead, spokesmodel, product specialist, and more including Subaru, Toyota, Cadillac, Lexus, Mazda, Chevy, and Ford. Currently she travels as Spokesperson on the Subaru National Brand Specialist Team. Bauer also manages events for Toyota, VSP Vision Insurance, and has her own health and life coaching practice to help other improve their health, lives and careers. 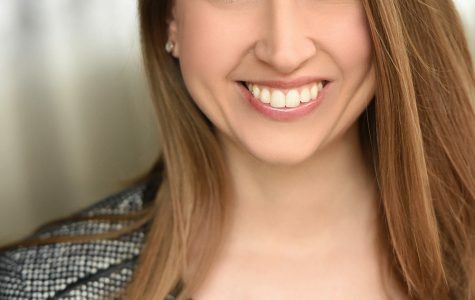 Bauer-Gross is a delegate competing for Mrs. New York America on March 30 and 31st 2019 representing her home region of Central New York as Mrs. CNY follow her path @MrsCNY on IG. Additionally, she works as a speaker, emcee, host, presenter, model, actor, promotional model, spokesperson, and interactive performer for live events. She’s shot with over 500 photographers, has been printed in numerous magazines including FHM magazine, Six Degrees Magazine, WISE, Syracuse Woman Magazine and Rochester Woman Online. She’s walked in 100+ fashion shows and aired in many commercials, infomercials, music videos and films. She is currently airing nationally in “The Hurricane Spin Scrubber” commercial. Bauer was formerly the Booking Director at AMS Models & Talent 2010 to 2012 and worked in Scouting with the famed Karen Lee at Elite Model Management in NYC 2003. She began a new venture two years ago; a coaching practice: Kristin B Health & Life Coaching to help others transform their own health after seeing how turning around her own and her mother’s health was so empowering. She became a certified Health Coach in 2015 from Institute of Integrative Nutrition NY, NY which compliments her BA in Psychology from Wells College and plans to begin working towards her master’s degree in Health Coaching with a concentration in Applied Nutrition in 2019.